Places to stay: Cerne Abbas itself features The New Inn while The Brace of Pheasants at nearby Plush is highly regarded by independent reviewers. Self-catering options include Cerne Abbey Cottage. Places to stay: The Hambro Arms is situated within Milton Abbas itself, while there are other options at nearby Blandford Forum - these include the 17th century thatched Langton Arms. Places to stay: Accommodation of most interest to heritage-travellers is to be found in the neighbouring village of Evershot – see our specific page for The Acorn Inn which features in Thomas Hardy’s Tess of the D’Urbevilles and is over four centuries old. 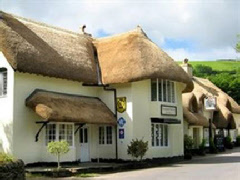 Places to stay: Those seeking period accommodation are most likely to find what they require in nearby Corfe Castle – a picturesque village in its own right. Examples include the award-winning Mortons House Hotel, a former manor dating from the 16th century, and Alford House B&B. Details of these and other accommodation in the area can be found via TripAdvisor. 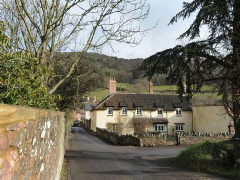 Places to stay: There are a small number of bed & breakfasts to be found at Allerford, including Cross Lane House (availability and reviews for which are available at both Booking.com and LateRooms.com), The Packhorse and Fern Cottage. For more information, visit the village’s accommodation page at TripAdvisor. Places to stay: The Lord Poulett Arms (details at TripAdvisor) is a seventeenth century inn located within Hinton St. George itself. Places to stay: Clavey’s Farm offers bed & breakfast accommodation within Mells itself, while the Vobster Inn is located in the village of the same charming name only a mile away. 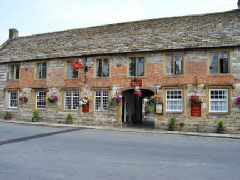 Places to stay: The New Inn is a 15th century pub within Priddy itself (see TripAdvisor), while there are also some notable historic hotels to be found in nearby Wells (a truly beautiful city in its own right) - see our specific pages for The Swan and The Crown. 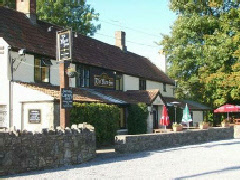 Places to stay: There are no hotels or inns within Selworthy itself, but there are several options in nearby Porlock. 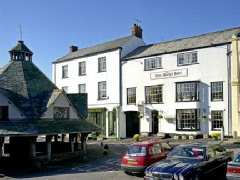 A full listing can be found at TripAdvisor, while we also have a specific historic hotel entry for The Ship Inn at Porlock. 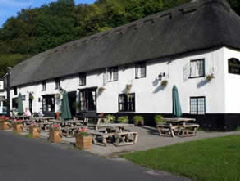 Places to stay: The Royal Oak Inn at Winsford (reviews and reservations are available at both Booking.com and LateRooms.com) is about as quintessentially English as it is possible to be – an ancient thatched farmhouse without a straight line to be seen. Winsford also offers a great base for those wishing to explore the area from a self-catering base. The Grade-II listed Thorn Cottage can accommodate up to 6 people.